In December I looked back at the evolution of the PUMA EvoPOWER boots, my personal favourite make of football boots, that culminated in the comically and trendy pop art pair worn by the ambassadors around the world of football. PUMA has now unveiled the new edition to the PUMA EvoPOWER family and it’s another classy version of the best football boot in the World. 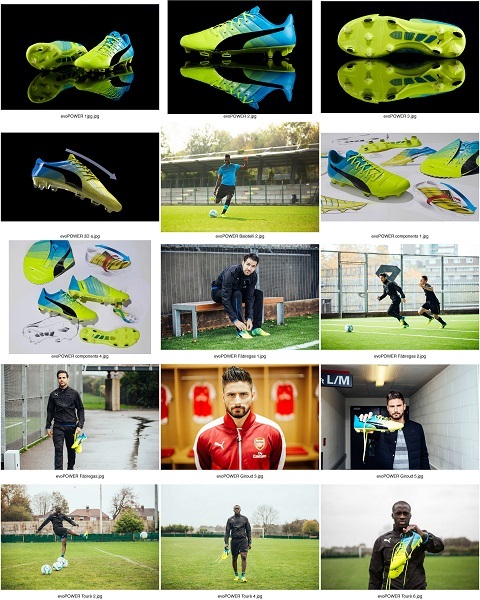 The new boots are driven by the hashtag #CHOOSEPOWER so get involved in the conversation on Social Media. 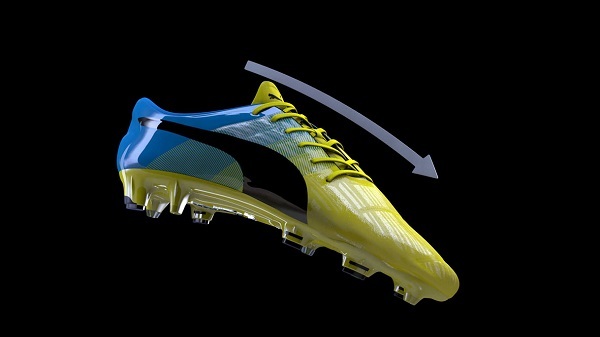 As with previous boots within PUMA’s evoPOWER family, the new evoPOWER 1.3 is grounded in the principles of barefoot kicking and designed to enhance what the body does naturally. Taking this concept to new levels, the evoPOWER 1.3 provides even more flexibility through the outsole, which leads to more kicking power. In creating the new outsole, PUMA focussed on how forces travel from the heel to the forefoot, and from the lateral to medial side of the boot. An increased amount of AccuFoam in the upper provides a smoother and cleaner kicking surface for more precision, while the one-way stretchable Adap-Lite upper allows the foot to bend and mimic a barefoot kicking motion. The improved configuration of bladed and conical studs allows for more maneuverability, gives extra stability in the midfoot of the standing leg when kicking, and the new evoPOWER 1.3 features optimal ground penetration in all weather conditions. The new EvoPOWER made a fantastic start on Wednesday night as Olivier Giroud, of Arsenal, netted a brace including a stunning replay in slow motion when he turned and shot with immense power into the bottom corner. 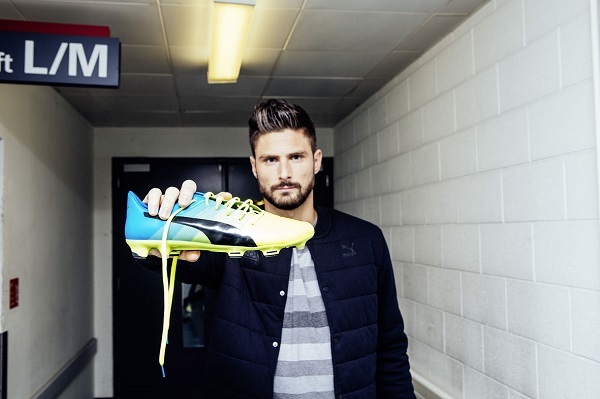 Giroud will be joined by the likes of Cesc Fabregas, Yaya Toure and Mario Balotelli as wearers of the new EvoPOWER. The all-new evoPOWER 1.3 will be available for R2 799 at PUMA stores and selected retailers from the end of January.